The images of 5-year-old Omran Daqneesh, injured after an airstrike in Aleppo last year, symbolized the horror of Syria's civil war. 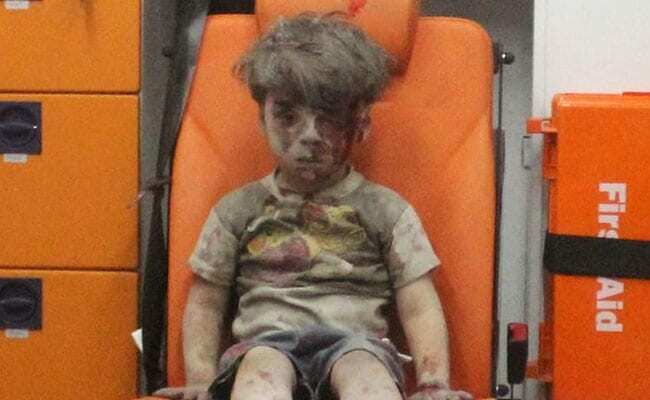 Syrian boy Omran Daqneesh's father said his son was in good health in Aleppo. A young Syrian boy, whose stunned image covered in dust and blood became an iconic symbol of suffering in Aleppo, has appeared in new footage posted by a pro-Syrian government television presenter. 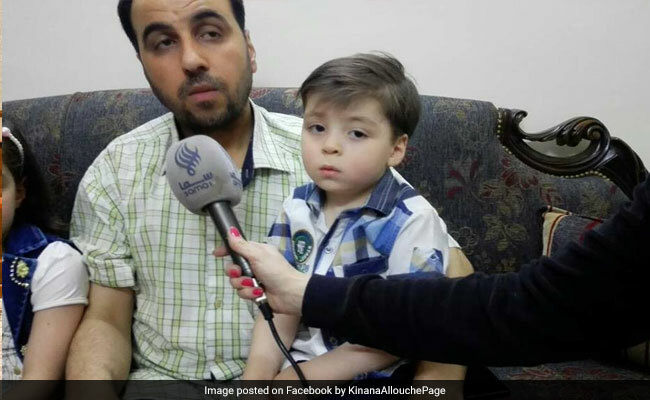 Omran Daqneesh and his father appeared in a video clip, apparently still living in Aleppo telling the reporter, Kinana Allouche, he didn't want to leave Syria. A photograph of the wounded boy, sitting blankly and alone in the back of an ambulance after an airstrike, was circulated worldwide last August, highlighting the suffering of civilians in besieged east Aleppo. His older brother, Ali, died from his wounds after the attack. Daqneesh's father told the reporter his son was in good health in Aleppo - now under the control of President Bashar al-Assad's forces. He said he had cut his son's hair and changed his name to protect him from being kidnapped and accused rebels of intimidating the family. It was not clear whether the family had been coerced into taking part in the short video posted on Facebook, the first time the boy had been seen publicly since he was wounded. However, Valerie Szybala from the Syria Institute, an independent research organisation focused on Syria, said the family was unlikely to have been speaking freely. "They are under government control now and this is a government that we know arrests and tortures anyone that speaks out against it ... to me the situation seems to suggest this is probably coerced," Szybala told the Thomson Reuters Foundation. Rebel resistance in Aleppo ended last December after years of fighting and months of bitter siege and bombardment that culminated in a bloody retreat, as insurgents agreed to withdraw in a ceasefire. Syria's civil war, which erupted in 2011 has killed an estimated 465,000 people.